We've posted on here about how coffee could have a positive impact on employee recognition and productivity. As it turns out, further research proves that coffee (or just caffeine in general) could help further influence employee behavior. 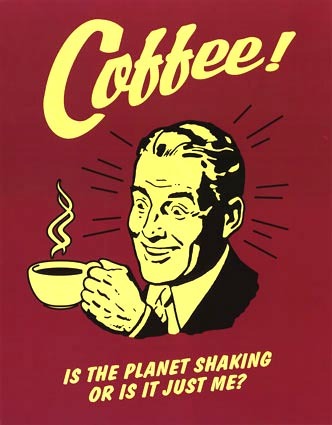 This article on PsyBlog discussed how caffeine makes us more suceptible to persuasive messages. It discusses a study done by the University of Queensland in Australia in which a group of individuals are attempted to be persuaded about a certain topic. Amongst that group, before the attempted persuasion, half of the participants had a caffeine pill and the others took a placebo. The results of this double-blind study? Participants "under the influence" of caffeine were more persuaded than ones who weren't. Could these findings be applied to the workplace? Our previous post on caffeine/coffee consumption looked at providing coffee to employees as a perk or an incentive for working hard at your company. However, the benefit could prove to be mutual. The effects of caffeine consumption include increased awareness, brain arousal and a sharper attention span. According to PsyBlog, the reason most messages pass us by is because we aren't attentive enough to pay any attention to them. However, with the increased stimulation from caffeine, we are able to process those messages more thoroughly which in turn makes us increasingly likely to be influenced. With that in mind, think about your employees. Are you trying to communicate a message with them? Attempting to influence their behavior and attitudes in one form or another? Sometimes persuasion is best served with a hot cup of joe.